Wholeness – Freedom For Humanity! We are here for you, always. We want to start out today, with that – with you considering how you feel in relationship to considering our ever-present support, love and comraderie. We want you to know that we are always aware of you. What you are feeling, what you are thinking, how you think things are going and how much you are aware of the vaster you. Posted on March 12, 2019 by TheLightHasWonPosted in Channeled MessagesTagged attention, Awareness, Be light, Being, Beings of Light, call upon us, Channeled Messages, choosing your focus, Commander Ashira, Consciousness, Deserving, Enlightment, Experience of life, Feelings, flowing with Life, Happiness, Harmony, Inspiration, Joy, Life, Life is for You, Light, Love, Loved, Mind, navigate life, One with Life, Peace, Power Within, Relax, Spiritual, Supportive, Thoughts, Uplifting, Well-Being, Wholeness, Worthy. 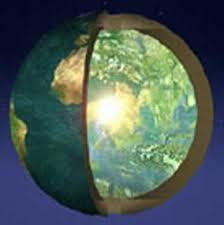 We are the Inner Earth Collective. It gives us great joy to connect. We are within you, within your planetary sphere, within the heartbeat of the Mother, Gaia. We aid in her transformation daily, hourly. We hold the light, the Christed flame, the Christ Consciousness high and we are eager to connect with our surface brothers and sisters who have been doing the arduous work so diligently but may have become a bit weary and fragmented, damaged, in this process of service. We invite you into our realm of 5D love and light, of planetary perfection, of wholenesss, of goodness, of joy, of grace. This is an excellent place to focus on during your daily meditations. Nova Gaia is within you, to those of you who are reading or listening to these words. Nova Gaia is within Gaia. Soon the inner will match the outer. Soon the great transformation will take place. Best be ready. Best anchor and familiarize yourselves once again with this realm. Posted on March 7, 2019 by TheLightHasWonPosted in Channeled MessagesTagged Agartha, Alliances, Brothers and Sisters, Channeled Messages, Christ Consciousness, Enlightment, Fifth Dimension, FriendShips, GoodNess, Grace, Inner earth friends, Inspiration, Joy, Light, Love, OneNess, Peace, Spiritual, The Great Awakening, the Inner Earth Collective, Transformation, Uplifting, Wholeness. Posted on January 29, 2019 by TheLightHasWonPosted in Channeled MessagesTagged Abundance, Arcturian Group, Ascension Process, Awakening, Awareness, Channeled Messages, Consciousness, Enlightment, Evolution, Harmony, Inspiration, Light, Love, New Age, OneNess, Peace, Spiritual growth, Spirituality, Transition, Uplifting, Wholeness. 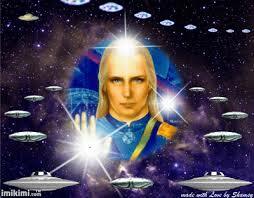 I extend my star greeting to you, I am Commander Ashtar, the overseer of the Airborne Ascended Master. It is our purpose to evaluate the process of ascension and to be present in any area upon the Earth or inner planes where healing or awakening is needed. We travel throughout the universe of the Creator and around your world as well. We can be in many places at the same time as we connect into the unified energy of the Creator, meaning we see ourselves not as individuals, instead as able to connect into and embody any energy within the Universe of the Creator. I, Commander Ashtar, wish to share with you some insights from our ship of tools that are available to assist your ascension now. Posted on October 19, 2018 by TheLightHasWonPosted in Channeled Messages, SpiritualityTagged Ascended Masters, Ascension, Ashtar, Awareness, Channeled Messages, Connection, Consciousness, Energies, Enlightment, Freedom, Frequencies, Harmony, Healing, Humanitys Ascension, Inspiration, Light, Light creations, light vibrations, Love, Mother Earth, OneNess, Peace, Planetary Ascension, rebirth cycle, Soul, Spirituality, the Creator, Unity, Uplifting, Wholeness, working with the ascension. Posted on September 3, 2018 by TheLightHasWonPosted in Channeled Messages, SpiritualityTagged Alchemy, Ascension Symptoms, Awareness, Channeled Messages, DNA, Duality, emotional body, Enlightment, experiencing, Freedom, frequency level, human operating system, Humanitys Ascension, Integration, Karma, Learning, Life Experiences, Light, Love, Mastership of Life, mental body, OverSoul, Peace, Physical experience, Physical Symptoms, Polarity, Purification, Saint Hilaron, spiritual being, spiritual Light, Spirituality, Wholeness, Wisdom. Emotional healing is at the forefront of your evolution as you continue to move forward in your transformation process. Many of you are becoming more and more aware of the importance of honouring your feelings, particularly those that have not been addressed that are connected to core wounds that are seeking healing. The first thing that must be done in order to start that healing process is to create a safe space for yourself to do so. This means stepping in as your own loving parent, best friend, and wise guide. It means not only must you move into appropriate and healthy boundaries by surrounding yourself with safe people who support your health and wellness, but also that you must immediately stop your self abuse (verbal and otherwise), self judgment, and any choices that lead to further wounding. We urge you to create a healing space within yourself, for yourself – a nest of nurturing, if you will, that will allow the healing to occur without the fear of being abused by another or by yourself. This means shutting off your negative self talk and replacing it with love, acceptance, and encouragement. It means committing to yourself to always give yourself the same loving care you give others. It means sitting with yourself in a whole new way which will allow the parts of you that have been yearning for your love and attention to have the courage to come forward and state their needs, and feel safe enough to not only heal but to integrate into wholeness within you. Posted on June 25, 2018 by TheLightHasWonPosted in Channeled Messages, SpiritualityTagged Acceptance, Archangel Gabriel, Channeled Messages, Emotional Healing, Encouragement, Enlightment, Evolution, Healing Process, Healing Space, Health, Inspiration, Light, Love, Peace, Spirituality, Transformation process, Uplifting, Wellness, Wholeness, Wisdom.